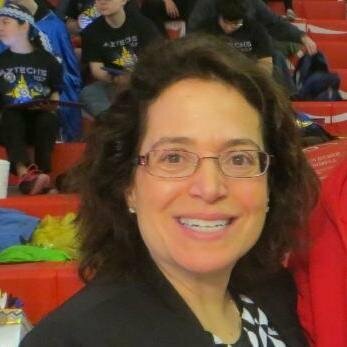 US FIRST FRC Kickoff revealed a new challenge to robot teams around the world. And to help with that challenge, SolidWorks created a KitBot and SolidWorks KOP to start off the games. 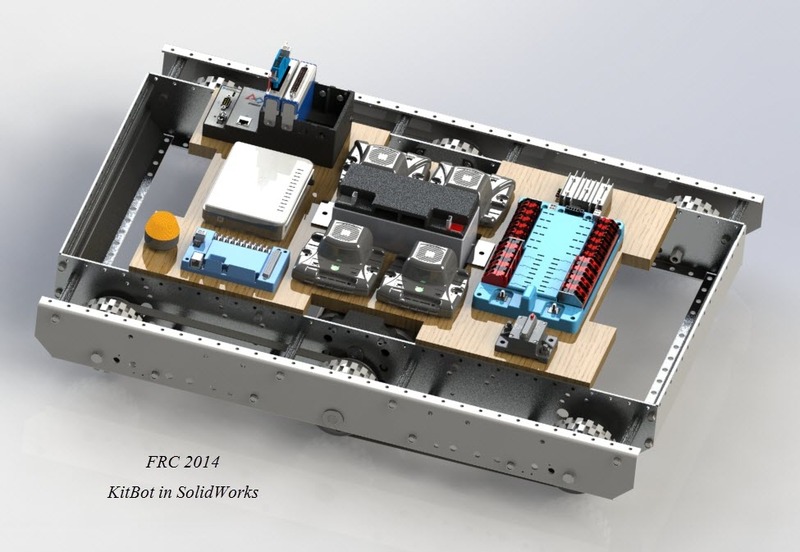 FRC Teams can download the SolidWorks Kit of Parts (KOP) and the KitBot from www.solidworks.com/FIRST. FRC Teams can apply for SolidWorks sponsorship at www.solidworks.com/FIRST. Thank you to TJ Watson, Brad Miller and Bertan Atamer (BA) from WPI, Andy Mark for their SolidWorks model, and Collin Fultz from US FIRST for helping us achieve this KOP! We will let you know when the Game pieces and the SolidWorks Electrical KOP becomes available. We had to wait for the game to be announced to develop these models. 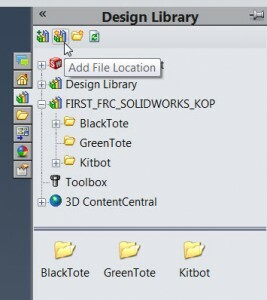 Download the FIRST_FRC_SOLIDWORKS_KOP from www.solidworks.com/FIRST. Unzip the file. There are three folders: BlackTote, GreenTote and Kitbot and a Getting Started file. Read the Getting Started text file. Start SolidWorks from the Desktop. Click Add Folders from the Design Library. Click on a folder to reveal all the KOP components.